Nihon Superior Co. Ltd will exhibit in Booth #1334 at IPC APEX EXPO 2019, scheduled to take place Jan.29-31, 2019 at the San Diego Convention Center in California. The company will celebrate the achievements produced by the well-known SN100C lead-free alloy. SN100C (032) flux-cored solder wire will be introduced and SN100CV P608 D5 solder paste will be shown. The newly developed (032) is a general purpose, no-clean, halogen-free cored-flux. When paired with the SN100C lead-free alloy, it provides fast wetting and excellent solder joints, not only on copper (Cu) but also nickel (Ni) substrates. SN100C (032) is a good match for continuous robotic soldering due to the fast wetting and low spattering. (032) cored-flux is available with the company’s new SN100CV lead-free alloy that gains its strength from solute atoms in the tin matrix as well as SAC305 solder. SN100CV P608 D5 is a completely halogen free, lead-free, no-clean solder paste. Unlike silver-containing alloys that derive their strength from a dispersion of fine particles of eutectic Ag3Sn, SN100CV gains its strength from solute atoms in the tin matrix of the joint. The paste provides excellent wetting and reduces voiding. Nihon Superior continues to offer solutions to the challenges facing the electronics industry, such as improvements in reliability, thermally stable joining, and lead-free die attach. For more information about Nihon Superior’s new solder pastes and lead-free products, visit us in booth #1334 at the IPC APEX EXPO or at www.nihonsuperior.co.jp/english. 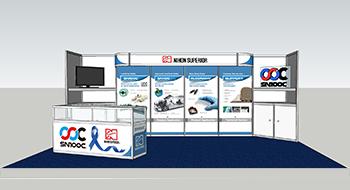 For more information about Nihon Superior’s new products, meet company representatives in Booth #1334 at the show.